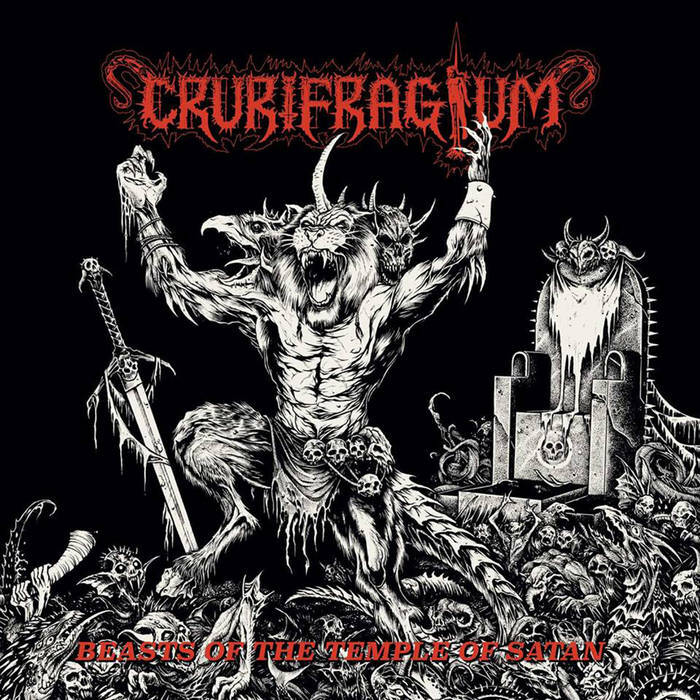 INVICTUS PRODUCTIONS is proud to present CRURIFRAGIUM’s highly anticipated debut album, Beasts of the Temple of Satan. Although only springing to foul life in 2015, CRURIFRAGIUM’s history stretches back to their previous existence as Warpvomit. 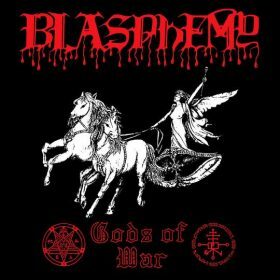 And although only existing for a couple years before the name-change, with their lone Carnal Sacrifice demo, Warpvomit verily approximated their moniker: disgusting, gestatingly cyclonic bestial metal that brimmed with a weird ‘n’ unsettling chaos and a tar-thick density. 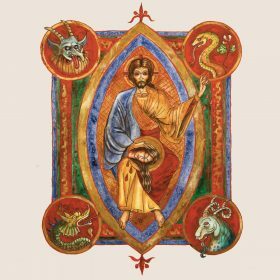 Alas, with that name change came a relatively more finessed approach to the bestial arts; CRURIFRAGIUM’s eponymous debut demo suggested a slight change was afoot, but it’s with Beasts of the Temple of Satan where the power-trio truly come into their own. Resolutely crude and barbaric and forsaking any niceties like “progression” or good taste, CRURIFRAGIUM explode forth with a filthiness beyond compare. 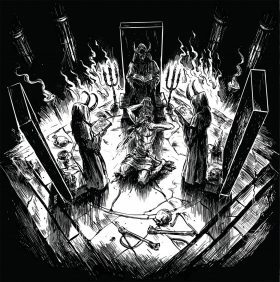 Granted, its grind ‘n’ churn owes reverential debut to the dual gods of Blasphemy and Beherit, but these particular Beasts of the Temple of Satan exhibit a ghastly, gibbering intensity that sounds like those last frayed ends of sanity forever severing their grip upon (ir)reality and (ir)rationality. 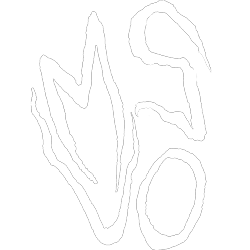 Within that palpable possession, the maelstrom whipped forth ably benefits from a stout and sawn-off production that’s simply crushing to behold. The rise of the black moon is at hand, so empty the chalice with CRURIFRAGIUM’s Beasts of the Temple of Satan!